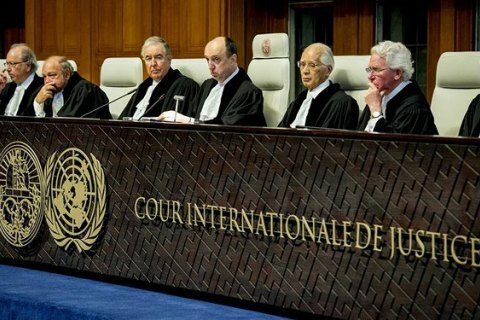 The International Criminal Court in The Hague (ICC, Hague tribunal) began studying the materials on the war crimes of the Russian Federation in the east of Ukraine, a deputy of the Polish Sejm and co-author of the report Małgorzata Gosiewska says as quoted by Interfax-Ukraine. "With the support of the Polish Embassy in The Hague, on April 22 this year I met with representatives of the office of the ICC Prosecutor. The notification of suspicion of committing a number of crimes under the Rome statute, as well as a 500-page evidence report were accepted with great interest. During our 1,5 hour meeting we first and foremost concentrated on the methodology used in the process of gathering evidence of crimes and identification of criminals," she wrote. Gosiewska pointed put that all the material will be subjected to legal and factual analysis, on the basis of which it will be decided on the initiation of proceedings against the persons mentioned in the report. "Upon the initiation of production, more evidence can be supplied," the lawmaker said. Earlier, the ICC found no evidence of crime against humanity during the Maidan.